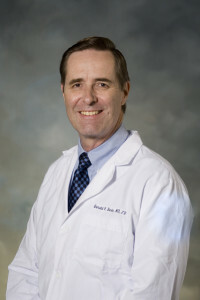 Dr. Gerald V. Burke M.D. – Providing high quality, personalized, reproductive endocrinology and infertility care for even the most difficult of cases. Dr. Gerald Burke is a fellowship trained reproductive endocrinologist with 28 years of medical experience in reproductive endocrinology, infertility, and general gynecology. Dr. Burke has always placed his patients first by providing the latest, state of the art medical care and surgical techniques. By focusing on reproductive endocrinology instead of in vitro fertilization, Dr. Burke’s patients have achieved levels of clinical success well beyond other reproductive endocrinologists and general gynecologists. Dr. Burke believes that medicine is still a profession and not a business service industry. As such, he maintains a very personal touch with all of his patients in the traditional medical sense. Dr. Burke is available 24/7 and calls to his office are routed directly to him. This unparalleled personal attention, coupled with cutting edge, high tech, medical and surgical care, results in a level of patient satisfaction and success found nowhere else in the Delaware Valley. Dr. Burke’s office is conveniently located in Voorhees, New Jersey, minutes from Moorestown, Marlton, Haddonfield, and Philadelphia. Call Dr. Burke today and discover a higher level of care, compassion, and technical excellence.